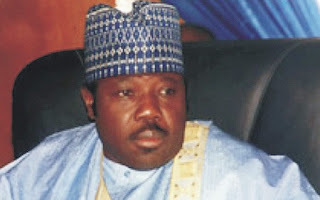 The Economic and Financial Crimes Commission (EFCC), yesterday nabbed a former national chairman of the People’s Democratic Party (PDP), Senator Ali Modu Sheriff, News Proof has learned reliably. Sheriff, according to The Sun was grilled for hours by the EFCC. He was, however, granted bail after several hours of questioning. Regardless, he is scheduled to return to the EFCC today, “for more questioning,” another source said. It was gathered that Modu Sherif is expected back today to continue meeting with the operatives who have been investigating the N23 billion disbursed by former Petroleum Resources minister, Mrs. Diezani Alison-Madueke, to allegedly influence the 2015 presidential election in favour of President Goodluck Jonathan. He headed the Borno state chapter of the Goodluck Campaign Organisation. He allegedly disbursed $115 million (about N23 billion, as at 2015), through the Director of Finance of the Goodluck Jonathan Campaign Organisation, Senator Nenadi Usman, during the build-up to the 2015 presidential election. Several leading politicians from the PDP and some Independent National Electoral Commision officials have been drilled by the EFCC over their roles in the sharing of the money, while some are already facing trial over the matter. Sheriff became PDP national chairman after the party lost the 2015 general elections but was sacked by Supreme Court, last year.